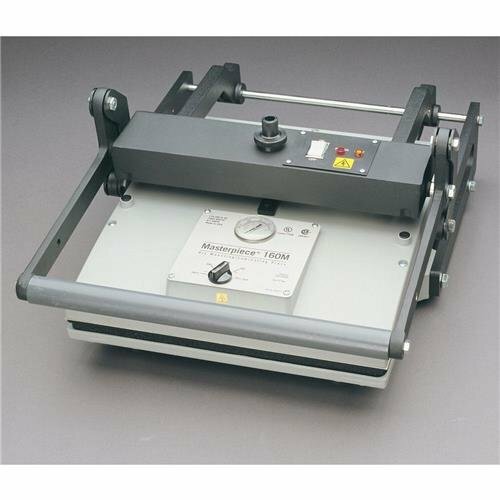 The Expression EXP 160M Mechanical Press is designed to provide consistent heat and uniform pressure for mounting, laminating, or texturing items including photos, plaques, and artwork. The 160M Mechanical Press features an easy-to-use temperature control knob for setting adjustments. The 160M Mechanical Press is a dependable workhorse designed to process large pieces up to 30" wide by any length. Capable of finishing pieces even larger than the press itself.